SuperSonic Condos is a new condo project by Lindvest and is currently in preconstruction. 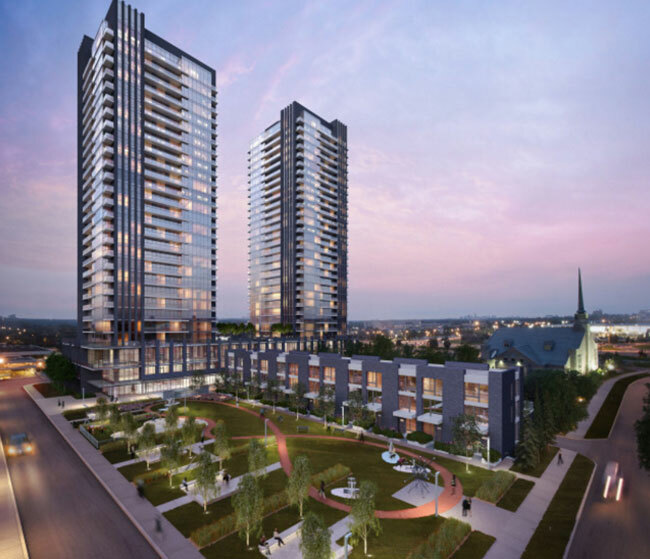 The new development will be located right at Eglinton Avenue east and Don Mills Road. Supersonic Condos will be 39 storeys with a total of 299 condo units. SuperSonic Condos is located across the street from the future Ontario Science Centre Metrolinx station(LRT) and will be close to another station near the Aga Khan Museum, both of which will provide a faster way to the Yonge subway line, as part of the 19-kilometre LRT line. Across the road from upcoming Crosstown LRT station and a new TTC bus terminal, making it top transit friendly location with easy access to Subway via LRT. Modern Amenities including Fitness room, Games room, Party room Rooftop Terrace and more. From 339 sq. ft. To 941 sq. ft. Fitness room, Games room, Party room Rooftop Terrace and more.